Manipulating Video Images: Sloppy Journalism or War Propaganda? There is much debate regarding fake images and video footage used by major news networks including the BBC and CNN. 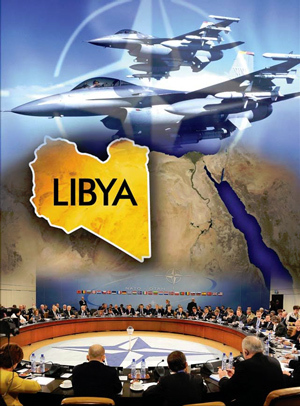 This article was written in September 2011 in the wake of NATO’s extensive bombings of Libya. And this is where fake reports and fake images come in. The international community, we are told, is waging a « humanitarian war ». 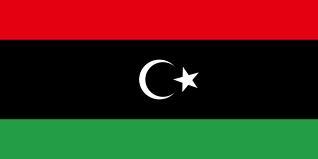 And the people of Libya are rejoicing. The official story is that they have been liberated following an extensive and illegal bombing campaign under NATO auspices. Fake images are now being used by the MSM in Syria to provide a human face to the US-NATO led coalition, which is supporting the « moderate terrorists ». It’s not Green Square and it’s not the King Idris Flag (red, black green) of the Rebels. And if you did notice, « it was probably a mistake ». This is not the first time images have been manipulated or switched. In fact it seems to be a routine practice of the mainstream media. The rebels are heralded as « liberators ». The images must be switched to conform to the « NATO consensus ». This form of reporting constitutes a war crime, because the intent is to obfuscate NATO atrocities. Without media disinformation, nobody would support the war. Expose the Lies. This Global Research video was produced and directed in Tripoli by a team of committed journalists, researchers and cameramen. 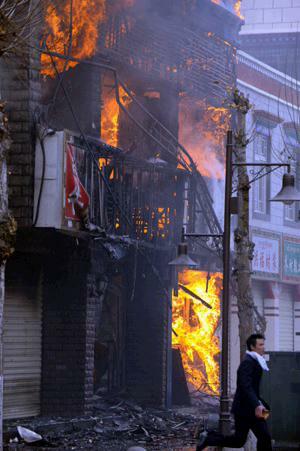 In 2008, in a different context, CNN was also caught red handed in manipulating images pertaining to the Tibet Riots. The report presented by CNN’s Beijing Correspondent John Vause focussed on the Tibet protests in Gansu province and in the Tibetan capital Lhasa. What was shown, however, was a videotape of the Tibet protest movement in India. Viewers were led to believe that the protests were in China and that the Indian police shown in the videotape were Chinese cops. On the day of the Lhasa Riots (March 14, 2008), the videotape presented by CNN in its News Report on the 14th of March (1.00pm EST) was manipulated. The video footage, which accompanied CNN’s John Vause’s report, had nothing to do with China. The police were not Chinese, but Indian cops in khaki uniforms from the North-eastern State of Himachal Pradesh, India. Khaki means « dust » in Hindi and Persian. The videotape shown on March 14 by CNN is not from China (Gansu Province or Lhasa, Tibet’s Capital). The video was taken in the State of Himachal Pradesh, India. The videotape of the Tibet protest movement in India was used in the CNN report on the Tibet protest movement within China. In a March 13 Report by CNN, demonstrators are being arrested by Indian police in khaki uniforms during a protest march at Dehra, about 50 km from Dharamsala in the northern state of Himachal Pradesh. The CNN’s March 14 report on the Tibet Protest movement in China shows Chinese cops in khaki uniforms, yellow lapels and berets. While the videotape is not identical to that of March 13 in India , CNN’s coverage of the events in China on March 14 used a videotape taken from the coverage of the Tibet Protest movement in India on March 13, with Indian cops in khaki uniforms. The protest movement in India on March 13 was « peaceful ». It was organised by the Dalai Lama’s « government in exile ». It took place within 50 km of the headquarters of the Dalai Lama in Dharamsala. The Western media was invited in to film the event, and take pictures of Buddhist monks involved in a peaceful, nonviolent march. These are the pictures which circled the World. So what has occurred is that CNN has copied and pasted its own videotape of the Tibet Protest movement in India and has fabricated a Gansu Province/ Lhasa, China « peaceful » protest movement with Chinese cops in khaki British colonial style uniforms. The Chinese never adopted the British style khaki uniform and beret. 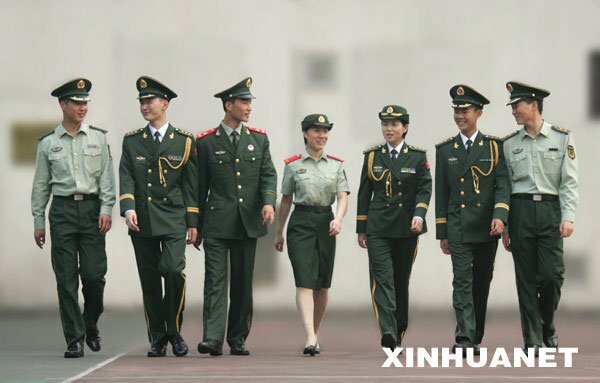 No khaki uniforms in China. These are the uniforms of China’s « Armed Police ». CNN’s report focussed on the Tibet protests in Gansu province and in the Tibetan capital Lhasa. What was shown, however, was a videotape of the Tibet protest movement in India.